This week absolutely flew by, and I’m not complaining! 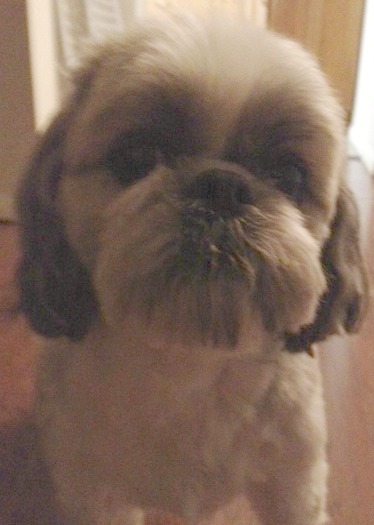 Pat is away with friends for the weekend, so it is just me and Bosco. A few of Pat’s friends spent the last week hiking in VA / DC and since Pat couldn’t take the week off of work, he decided to meet them in DC tonight until Sunday to spend some time with them before they head back to FL. So what did I do with a night free to do whatever I wanted you ask?? Well, first I went food shopping. Most weeks I like to go super early Saturday mornings since there is no one in the store at that time. Since I did not have much on the agenda tonight, I thought I might as well get it out of the way tonight. There were actually a lot of people around my age in the store at that time doing their food shopping for the week. I came home, put away all the food, just ate a quick dinner, and then headed to Bed Bath & Beyond. Our vacuum broke earlier last week and I couldn’t wait to get a new one. (Yes, my life is super exciting! 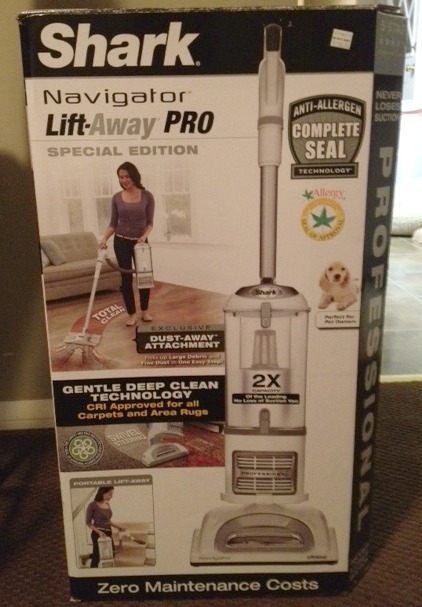 haha) I vacuum pretty much every single day, so I am so happy to have a brand new one to use. 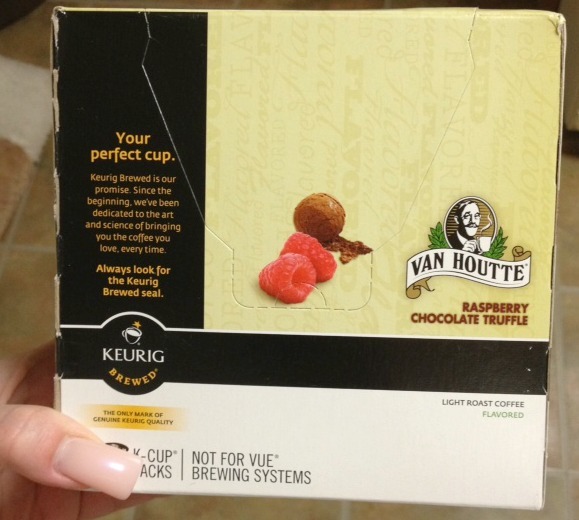 I also spotted these K-cups while at Bed Bath & Beyond and had to get them. I will be trying them out tomorrow AM for sure! 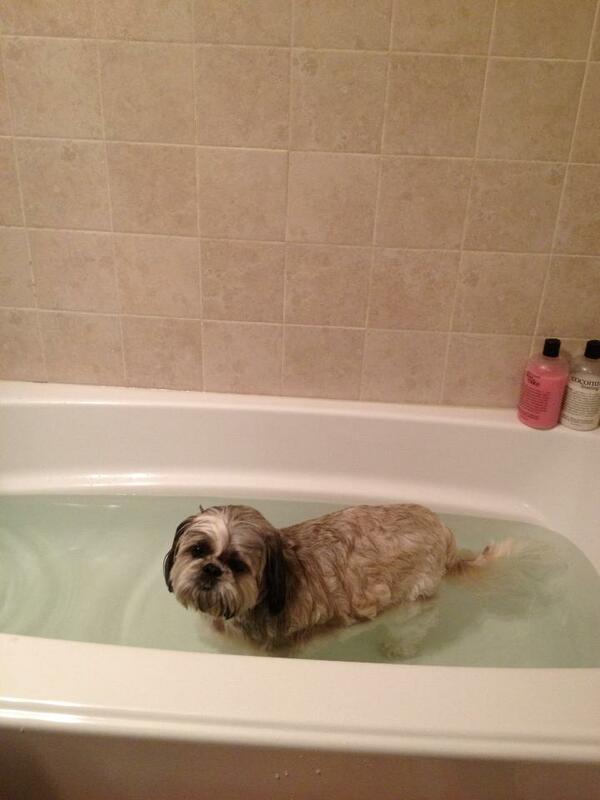 After I got home from Bed Bath & Beyond, I decided to give Bosco a bath (which he was of course very happy about). Now he is all clean and I just want to eat him up. I know, I know .. it has been a super crazy and exciting night over here. TRY to not be too jealous! Haha I know how you feel! Tonight I was super excited because I just washed the tub/shower the other day and tonight I got to shower in a sparkling clean tub! Ahh, bliss. Hey few things feel as good as a clean house and puppy. Clean house clean mind! Awwww, you’re so lovely and fabulous and ohhhh, I could just kiss Bosco 1,000 times!!!! Glad you had an eventful day!! !